The Splash Awards are the prizes for the best Drupal websites in the Benelux. 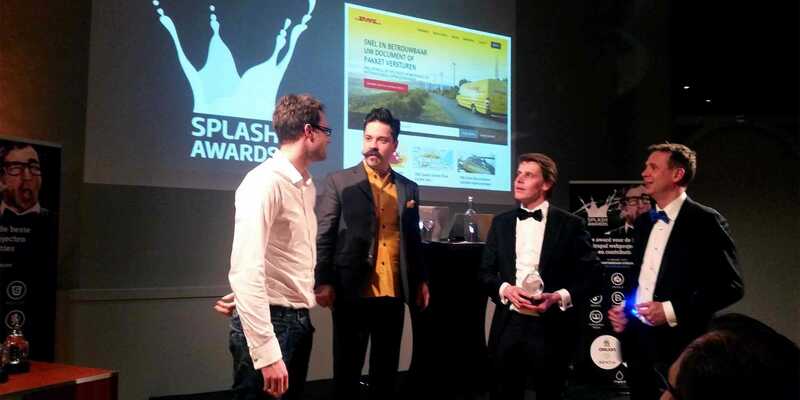 The website DHLExpress.nl, developed by One Shoe, has won the Splash Award for Best Drupal site in the Benelux in the category Tools / Apps. The Splash Awards are awarded annually to the best Drupal projects and community contributions from Belgium and The Netherlands. Both Drupal agencies and individuals who achieved extraordinary results get a special recognition from the Drupal community and beyond. An international jury selects winners out of hundreds of contestants in several categories. DHL Express is the specialist in national and international express shipments. One Shoe completely renewed the website in a responsive and multilingual online environment based on the Drupal 7 CMS. The new DHLExpress.nl features several options for an accelerated delivery of parcels and useful online tools for sending and tracing. One Shoe is a large advertising and digital agency based in the Netherlands. The agency is specialized in open source Drupal web and mobile development and it is one of the first companies in the Netherlands to adopt Drupal professionally.